Che Lagarto Ilha Grande, Brazil. Book Now for The Best Price Here! Book your bed now! The best price is here! 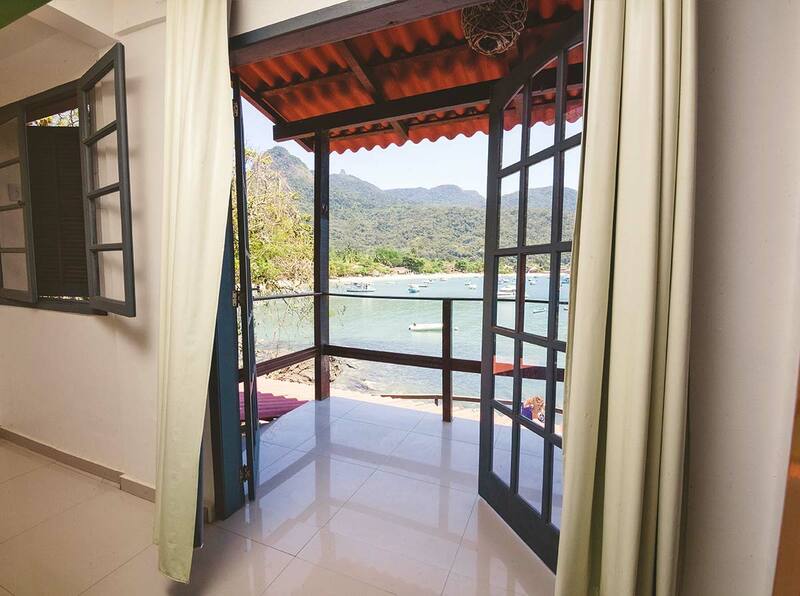 The paradise exists and is in Ilha Grande! 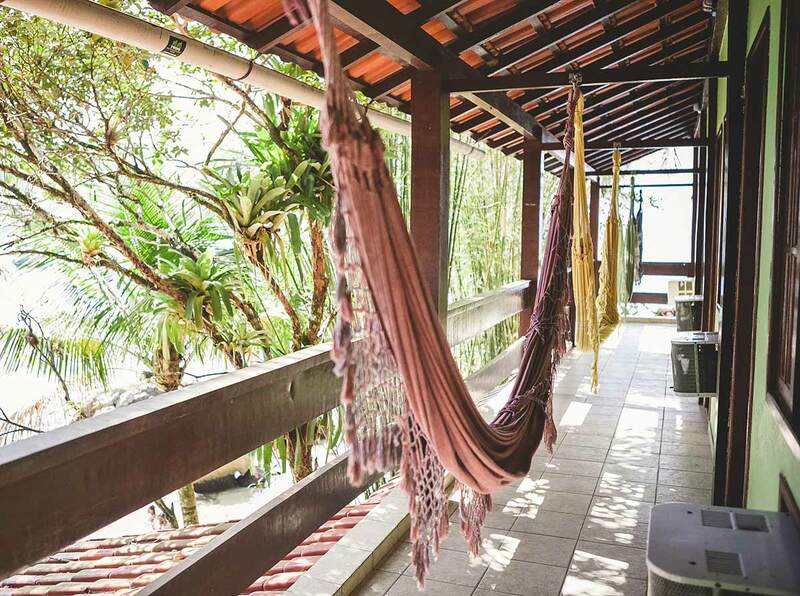 Come and enjoy Vila do Abraão, 3m from the sea and 10 minutes from the center of the island. 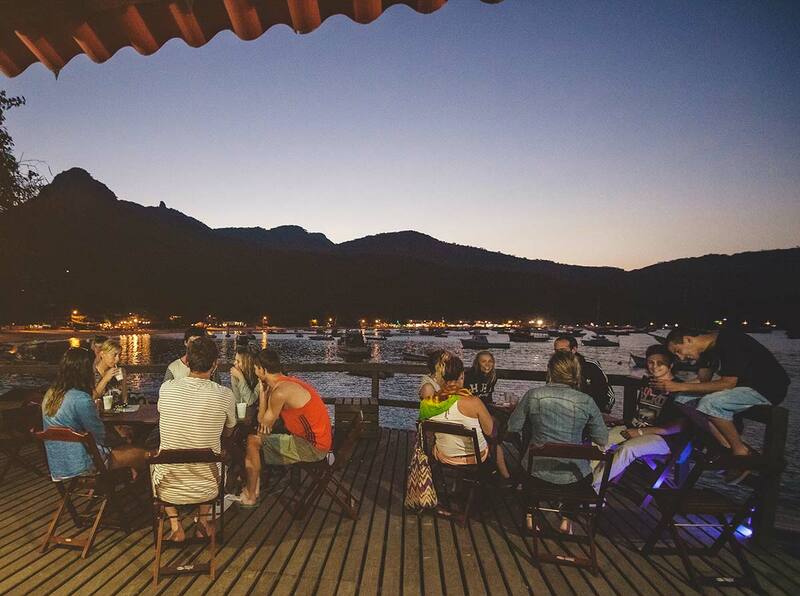 Come and enjoy the terrace taking a caipirinha in our bar in a spectacular place surrounded by lush nature. While you eat breakfast you can listen to the waves of the sea. 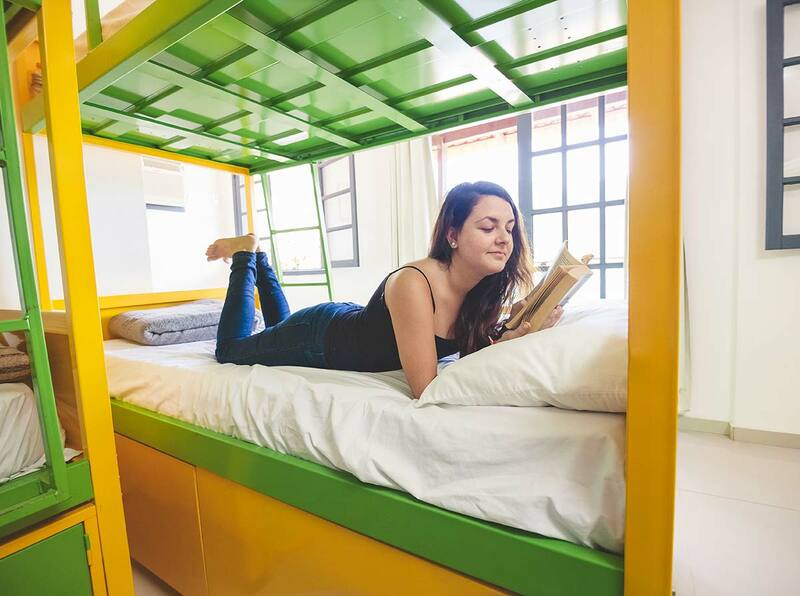 We offer free wi fi, games room with dart and board games, hammocks and more. 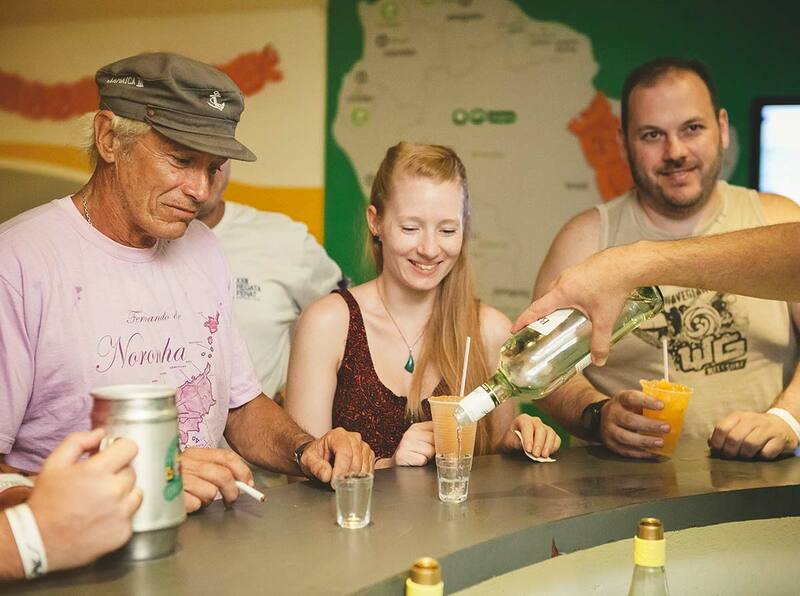 The tours that are available are: Lopes Mendes, Lagoa Verde, Saco do Céu, Acaiá Cave, half a round on the island and an entire round on the island. 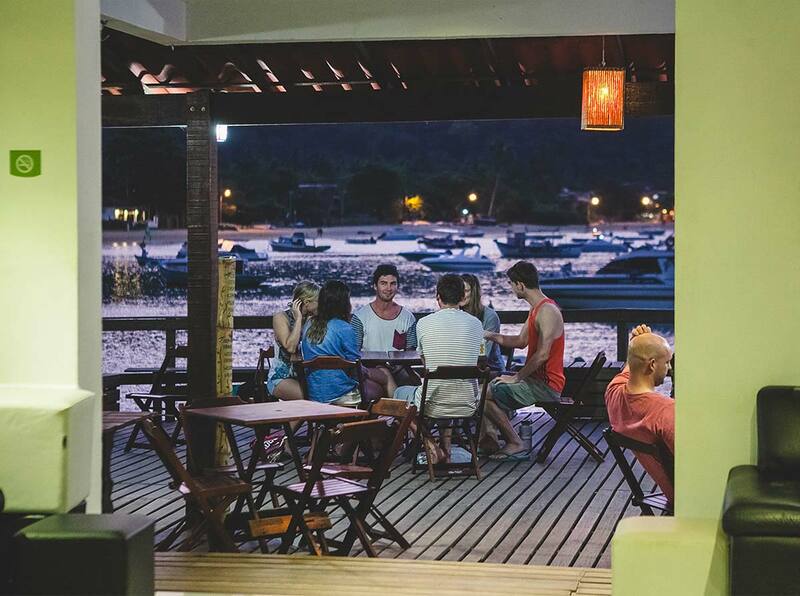 At night our terrace turns into the bar where you can enjoy the night making friends. Come and meet the best of life at Che Lagarto! How far is the beach from it? We are in the beach!!! The main point of reference is Praia da Julia. Distance at the city centre: 10 minutes walking. In the city centre you can find piers, bars, restaurants and others stores. 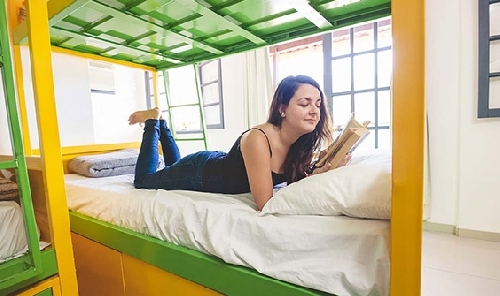 What kind of attractions should you visit and how far are them from the Hostel? 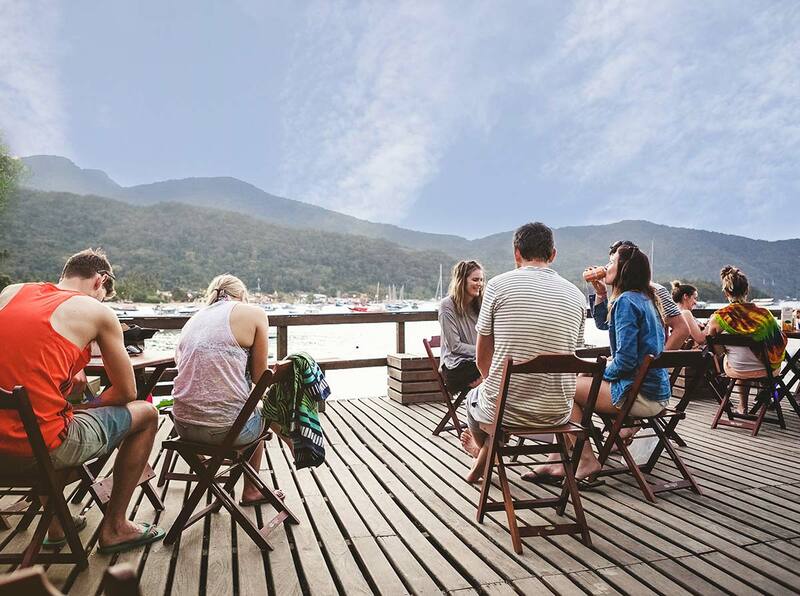 In Ilha Grande there are 106 beaches that can be visited by ship or on foot. How far are the bus lines and the metro? There is no airport in the island. 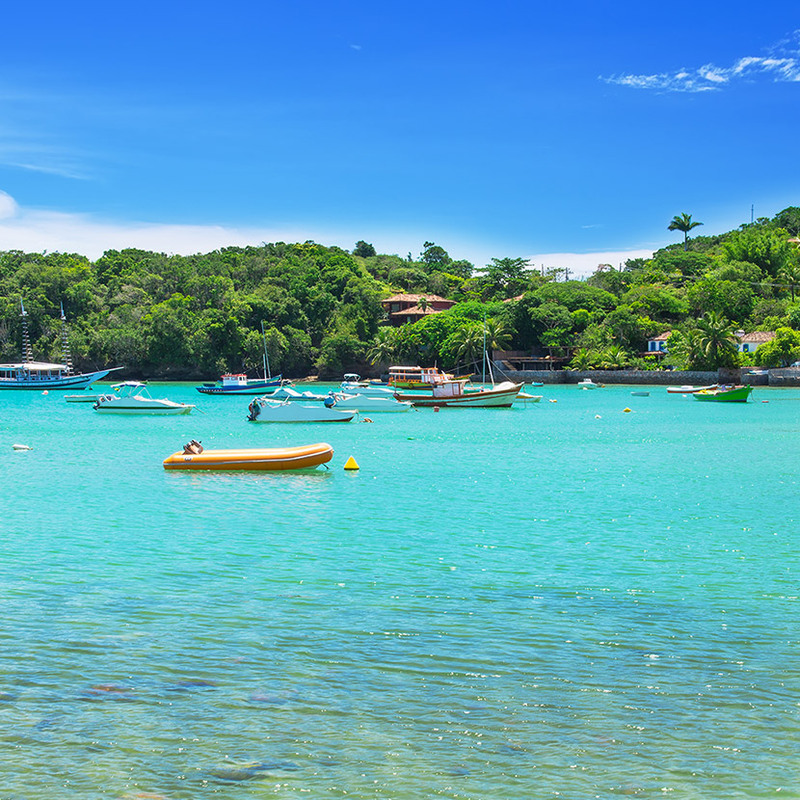 You can to take a boat to the Port of Vila do Abraão (port of the island). 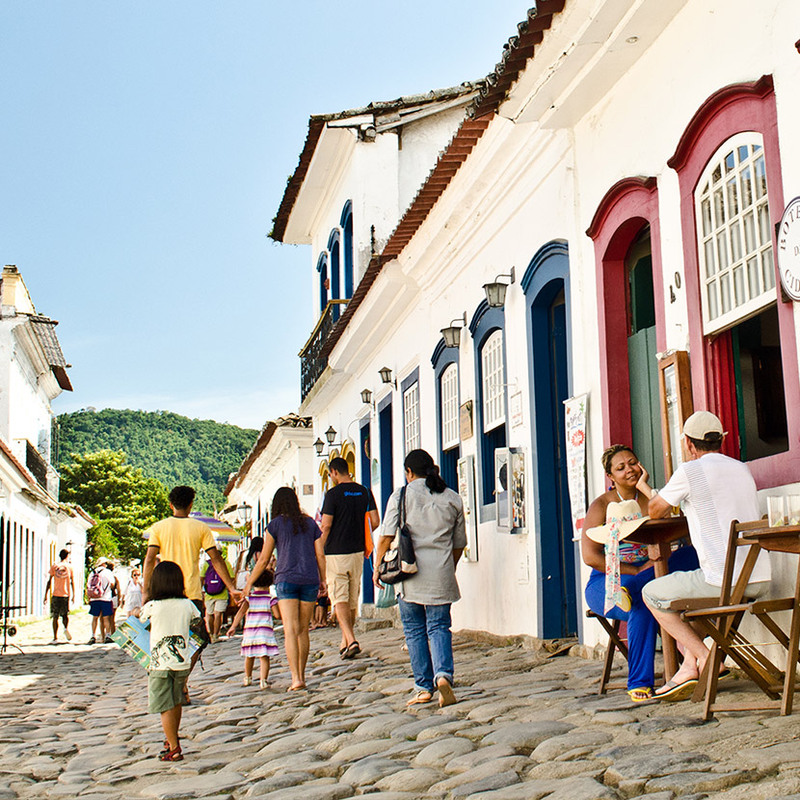 You can get from the cities Angra dos Reis, Conceição de Jacareí or Mangaratiba. 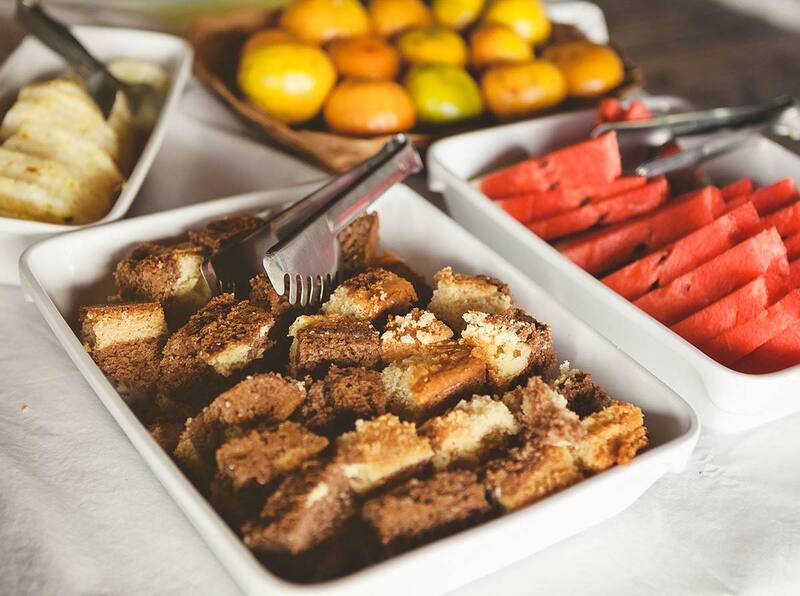 The gastronomic sites are at only 10 minutes from the hostel. Lindo lugar y económico para hospedarse. Cercano a principales calles de restaurantes y locales para Tours. Las camas buenas pero oxidadas pondria una marinera menos para poder mejorar el tema del espacio en habitaciones. Lo demas muy bien. Gracias por todo. 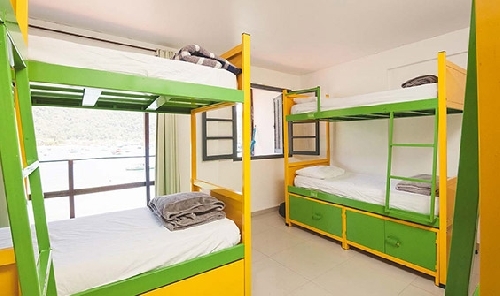 recomiendo ampliamente los hostels de Brasil ubicados en Ilha Grande y Buzios. 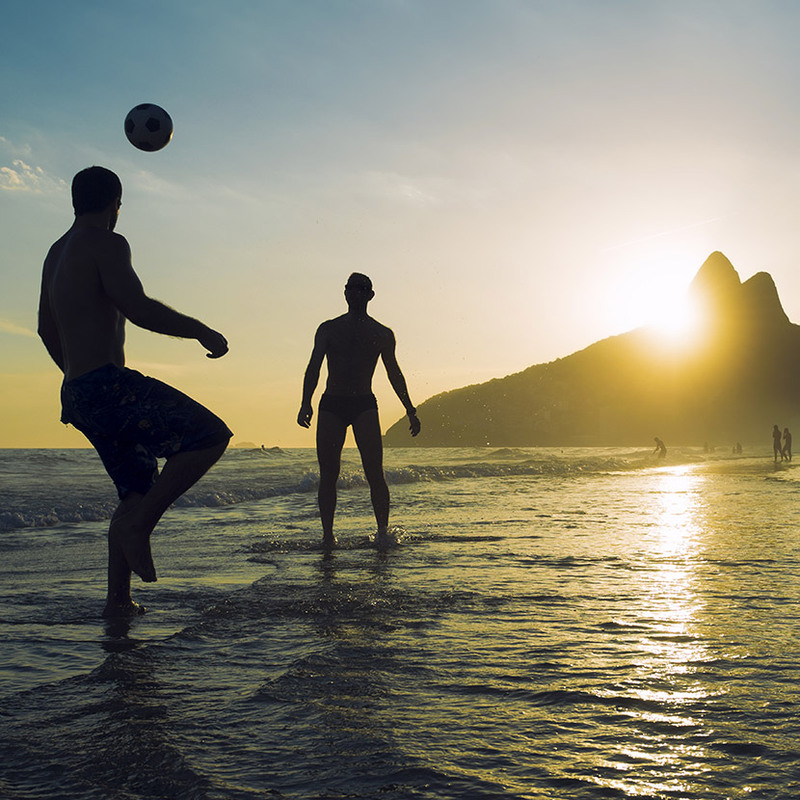 el de Rio de Janeiro Ipanema lo recomendaría solamente si estás buscando mucha joda y alcohol, nada de tranquilidad. en general, buena experiencia en todos! Me toco una habitación con 3 cuchetas en una habitación para 2 cuchetas, a mi entender, estaba hacinado más de una semana no podes vivir así amontonado, no es barato para estar así. Otro tema mi locker estaba roto, por lo general todos lo de mi habitación no estaban en buen estado. Bed in mixed shared room ensuite with air conditioner. Shared rooms do not accept children under 18 years of age. Ideal for women who want to feel comfortable among other women... here they can talk about girl stuff. Shared rooms do not accept children under 18 years of age. 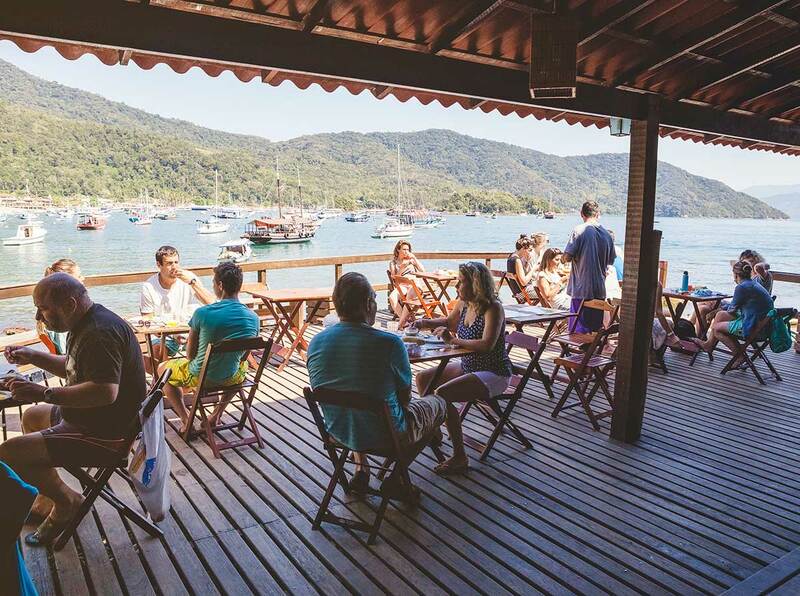 Located at Rua Canto da Praia (without number), Ilha Grande, Rio de Janeiro. 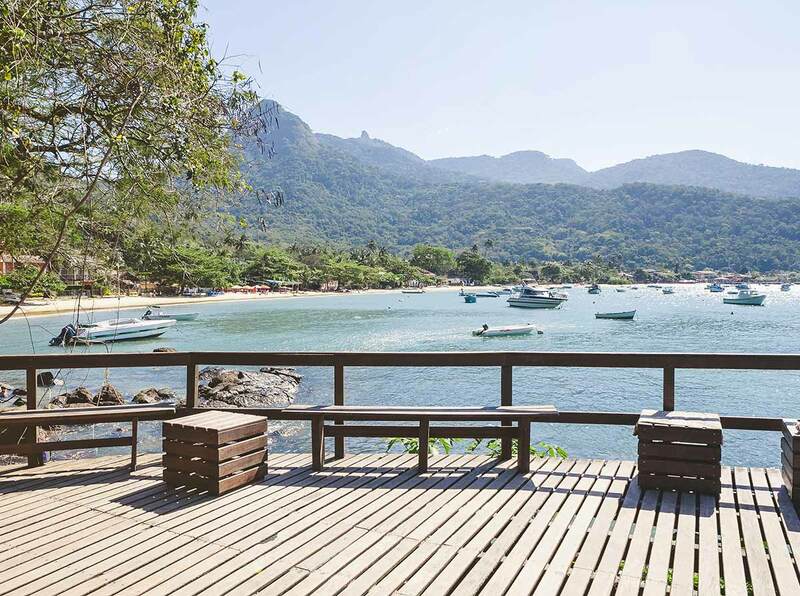 It’s in the middle of a fascinating bay, in front of the beaches of Rio de Janeiro. The center of the island is 10´walk from the hostel. Besides, Vila do Abraão town is 850 m away.